Prepare Simple Cream Cheese Frosting according to directions listed, set aside. In a large mug, whisk together flour, sugar, baking powder, cinnamon and salt. Add in mashed banana, vegetable oil, applesauce, buttermilk, egg yolk and vanilla. Stir mixture until well blended (being sure to mix in the flour at the bottom of the mug well). Cook mixture in the microwave on HIGH power for 2 1/2 – 3 minutes until done being careful not to overcook or your cake may be spongy. Dollop with Simple Cream Cheese Frosting, sprinkle with optional nuts then garnish with optional banana slices. Enjoy warm (once mug cakes cool they aren’t quite as good). 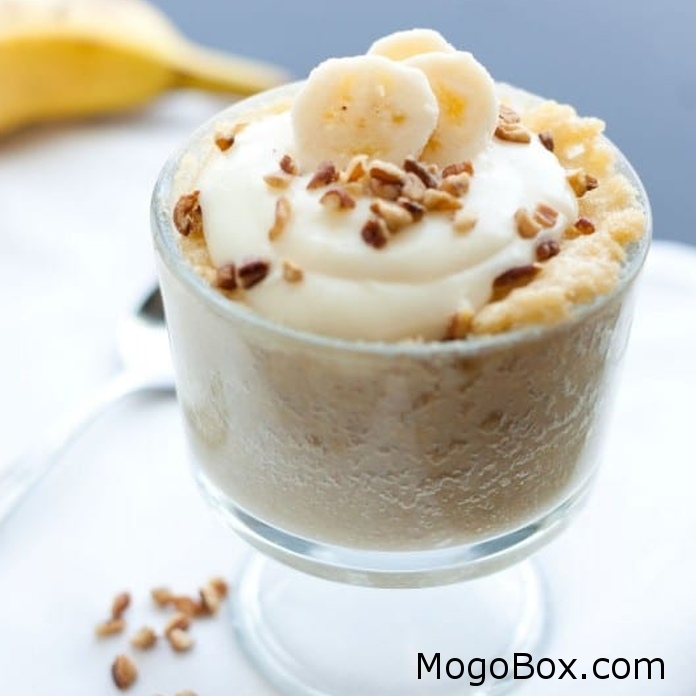 This entry was posted in MogoBlog, MogoLicious and tagged #MogoBlog, Banana, MogoBox, MogoLicious, Mug Cake.